I did not think that it was possible to overstate the bogosity of Sigmund Freud. But maybe so. Few Americans realize that the principal tool of Communist penetration in the United States is the pseudoscience of psychotherapy. Not only have many patriots who opposed Communist subversion been imprisonedfor life without trial, but many others have been rendered helpless, their fortunes seized, and theirexposures of Communist treachery discredited by the accusation of “mental illness”. Freud’s reputation as the great inventor of an entire new science rests solely on his discovery that he could get his patients to talk about themselves without the use of hypnosis. Nevertheless, much of the mumbo jumbo of psychotherapy was invented in order to create a hypnotic atmosphere. Freud’s discovery freed him from the stigma of the charlatans of hypnosis, and put a great distance between him and his discredited predecessors such as Mesmer, the father of Mesmerism. Nevertheless, the practice of psychoanalysis depends heavily on creating and maintaining a pseudo-hypnotic atmosphere in the psychiatrist’s office. The patient must be persuaded to relax, to place himself completely in the power of the psychiatrist, and to reveal his innermost self. Thus the pseudoscience of psychotherapy functions only because it is pseudohypnosis. No wonder that Freud is pronounced Fraud! Once he had broken away from the unsavory reputation of his predecessors, and had put the stigma of charlatanism behind him, Fraud began to build an elaborate facade of intellectual supports for his new “science” of psychotherapy. This proved to be a difficult task, for, as Szasz has pointed out, psychotherapy is merely talk. It would not be easy to erect a vast superstructure of scientific procedures around the basic principle of a patient lying on a couch and chatting about himself to a listening doctor. I don't know about this, but I am convinced that Freud was a complete quack, and the whole fields of psychiatry and psychology can hardly be taken seriously as long as they idolize Freud. Freudianism in the 1950s: Back then, Freudian psychiatrists were on the top of the world. Not only were they well paid, well respected, and secure in their theoretical foundations, they were also at the center of many important conversations. Even those people who disagreed with them felt the need to explain why the Freudians were wrong. Freudian ideas were essential, leaders in that field were national authorities, and students of Freudian theory and methods could feel that they were initiates in a grand tradition, a priesthood if you will. Freudians felt that, unlike just about everybody else, they treated human beings scientifically and dispassionately. What’s more, Freudians prided themselves on their boldness, their willingness to go beyond taboos to get to the essential truths of human nature. This high view of Freudians is laughable today. 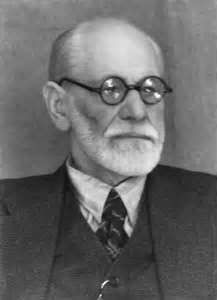 "the whole fields of psychiatry and psychology can hardly be taken seriously as long as they idolize Freud." Short answer - they don't. Does any textbook admit that Freud was a quack?